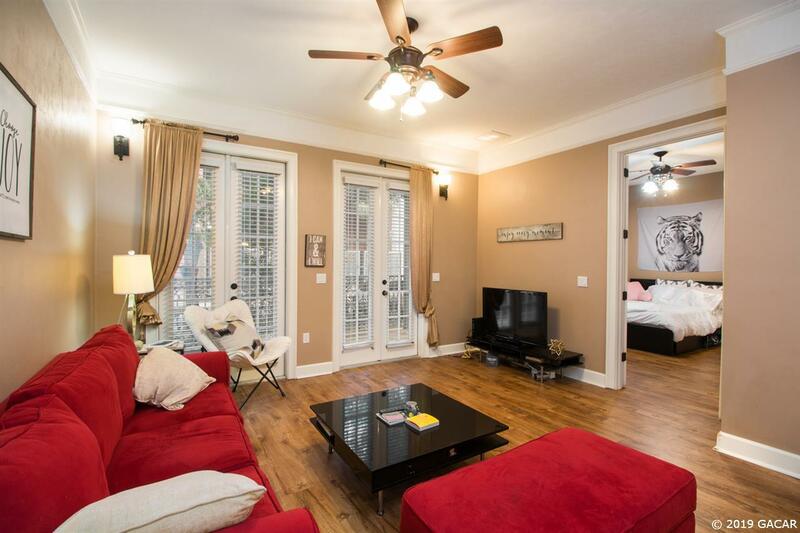 Beautiful 2 bed/2 bath condo within walking distance to UF, and just a block from the new Target and Publix. 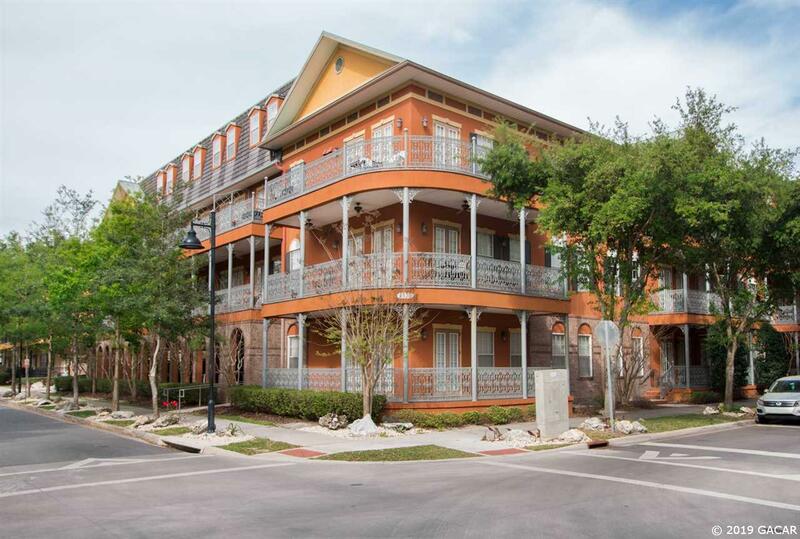 Spectacular condo with 10 foot ceilings, 8 foot doors, crown molding throughout the property, and steel/concrete construction. 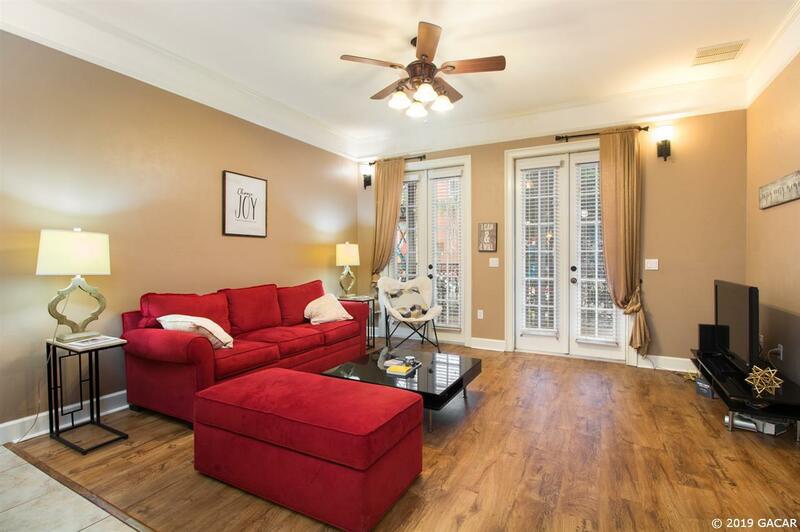 Granite counters in the kitchen and the bathrooms, elevated breakfast bar, premium lighting, and large covered PORCH/BALCONY off of the double french doors in the living room. Pure convenience - assigned parking space is directly outside by the door. Also, you can step out from your living room back door and walk right to class in minutes! Flooring has been upgraded so it only has tile and simulated wood flooring...no carpet anywhere in the condo. Each bedroom has its own private bathroom. Perfect for UF undergraduate students, graduate students, and working professionals! 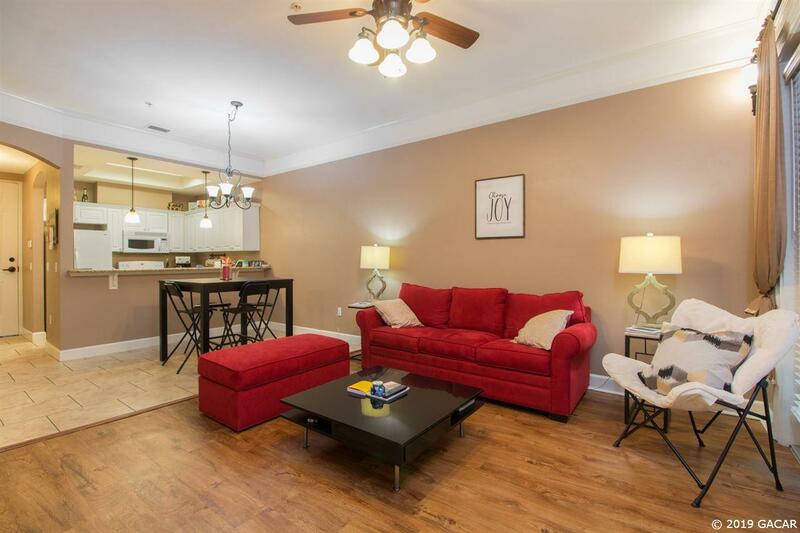 Nicest condo community within walking distance to UF classes and Ben Hill Griffin Stadium!